Also published in Dutch by Veltman. 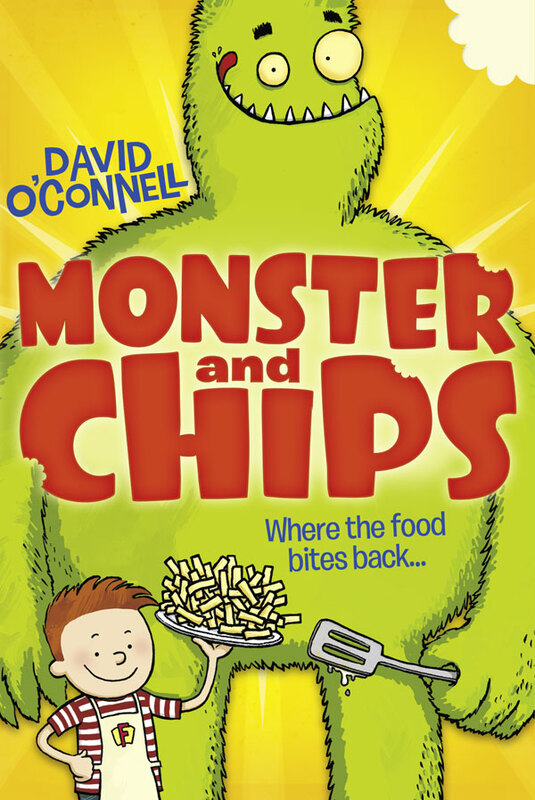 Meet the amazing monster customers and sample the foul-food served up daily at Fuzzby’s diner – the brilliant setting for this innovative series from debut author and illustrator, David O’Connell. Somewhere in suburbia, or maybe smack-bang in the middle of your city, there is a very special diner. What’s so special about it? Well it does the best chips ANYWHERE but also its customers are a little bit ‘unusual’… some people say they are monsters… The diner is hard to find, you have to look carefully, in fact some people say only a special kind of kid can find this special kind of diner. But maybe that kid could be you? When Joe the ‘hooman’ gets a job at Fuzzby’s diner, he learns to bake zombie-cupcakes, exploding milkshakes and not to stare at the customers – even the ones who are see-through. He also foils a terrible plan to sabotage the annual Grand Cooking Competition. With cartoon strips and a Special’s Board that’ll make your tummy churn, take a seat at Fuzzby’s and join the fun. All you need to brighten up your day is a little yellow book with a green monster on the cover and a little boy proudly holding up a plate of chips. You just know that when you turn to the very first page that everything is going to be fine and dandy. This story will be loved by anyone who absolutely loves jam packed adventures and is 7+. It is so gripping that you will be attached to it like cheese on toast stuck to the carpet. The food on offer may make you feel a bit queasy but the humour is spot on – there are chuckles on every page are a few real laugh-out-loud moments too. This is a fun, enjoyable book complete with jokes and a witty plot. This tale tickles the funny bone at every opportunity. … irresistibly disgusting and deliciously funny… David O’Connell blends stomach-turning ingredients with warmth and humour to make the perfect recipe for any young reader. The story is inventive and funny with a range of appealing characters (and monsters). 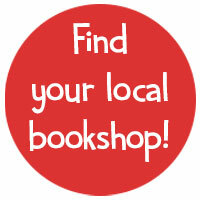 Please support your local bookshop! You can find your nearest one here: You can also buy online and pick-up your book purchase through a local shop via Hive.